Can be attached to living Creatures to track their location. 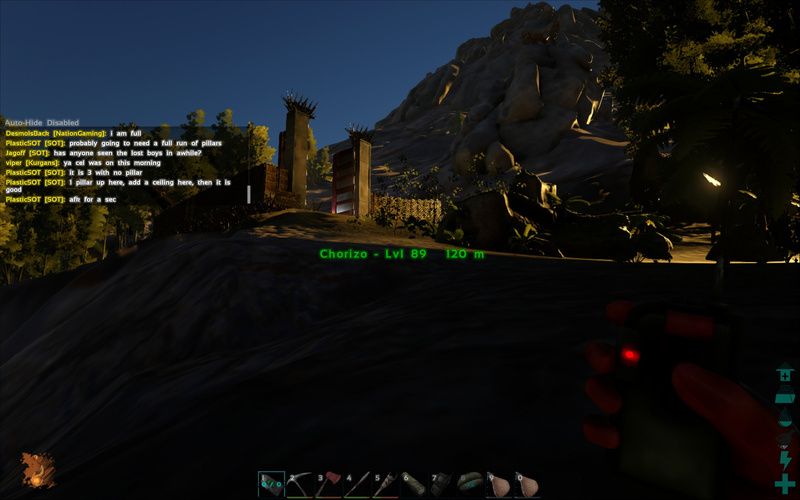 The Transponder Node can be attached to Players and Dinos (tamed and untamed). You can then track all Nodes with the Transponder Tracker. You need to equip a Transponder Tracker with the Nodes. The node can be removed (destroyed) via the creature's radial menu (under "Options"). The node can only be attached once. If you want to track something else, you must craft a new node. If you utilize the Cross-ARK transfer feature to upload a creature with a transponder node attached, the node will be destroyed upon upload. When freezing a creature in a Cryopod with a Transponder node attached, the Transponder Node will be destroyed. The nodes may disappear on Xbox one/PC and the Transponder Tracker will not pick up a signal from the creature it was put on. This page was last edited on 26 March 2019, at 21:24.